It is still early enough in the year for people to be stalwartly sticking with their usual New Year’s Resolution to be fitter, leaner and healthier. Come April, that resolve slowly dies, replaced by a longing for hot cross buns, chocolate Easter bunnies and basically anything slathered with butter. Yay for Easter hols! If you are the type to give up something for Lent- you have strong willpower my friend. 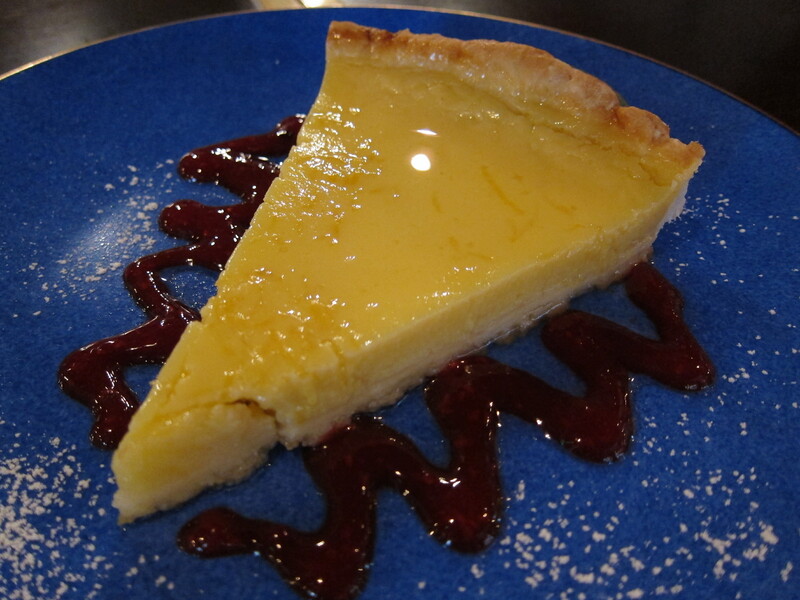 So, before your resolve begins to waver, let me tell you about Maya Cafe on Moon Street in Wan Chai, that is stocked with rather delicious looking and tasting vegetarian dishes. I was impressed by the substantial number of dishes which caters to all types of health-conscious beings. 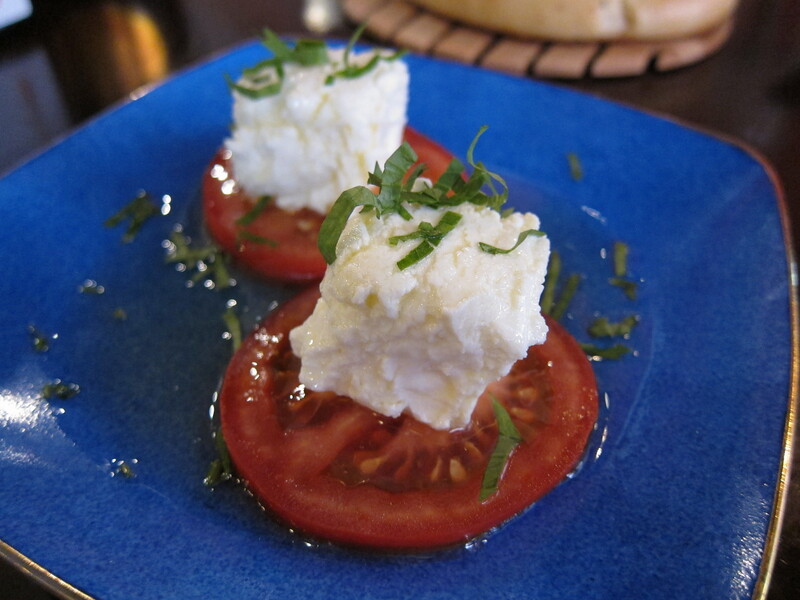 Vegetarian, gluten-free and raw dishes grace their menu and they even have organic wine. Tina Barat and Mina Mahtani are the two creative friends who decided that in light of a lack of healthy options in HK, would open their own establishment offering what they themselves sought. 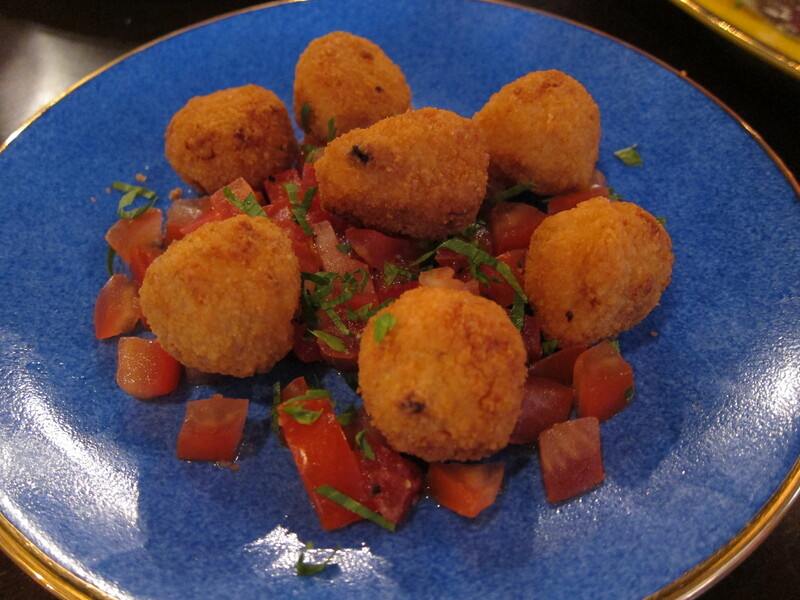 Tina Barat, in quite a career change from jewellery designer to chef, has taken inspiration from her French-Moroccan background, to create a lovely Mediterranean menu. Tina has been mindful in producing dishes that are nutritious and healthy but without compromising on flavour and both cooked and raw foods are 100% organic. It’s clear when you chat to her (both her and Mina take the time to serve and speak to their customers), that Tina is extremely passionate about healthy living and she informed me that this lifestyle is ingrained in her as her mother herself only cooked such dishes when she was a child. The cafe has Mediterranean elements in its decoration with Turkish lamps hanging peacefully from the ceiling, white walls and an outdoor terrace that I imagine will be lovely to sit on in the summer. When I visited, they were just promoting their special Chinese New Year menu and I got a chance to sample a couple of dishes from this menu as well as dishes from the a la carte. 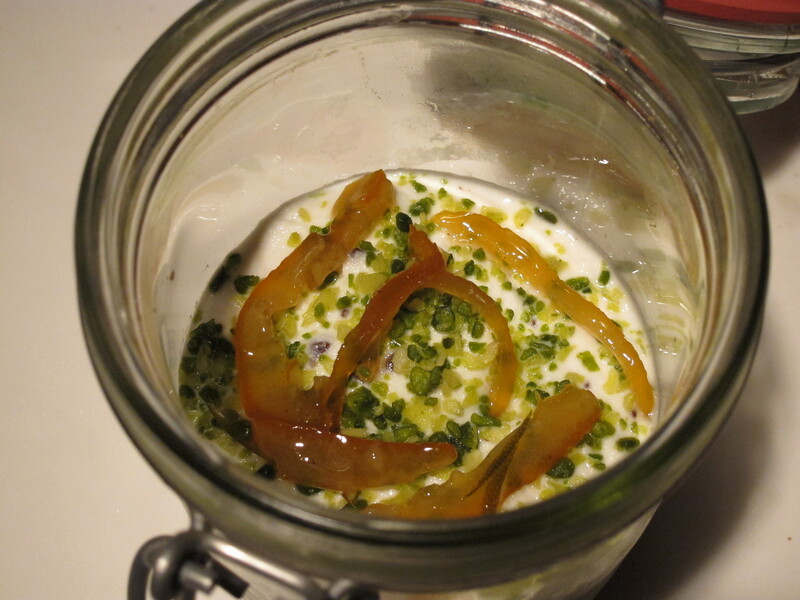 Their dishes will change seasonally, so I look forward to visiting again soon to see what’s new. 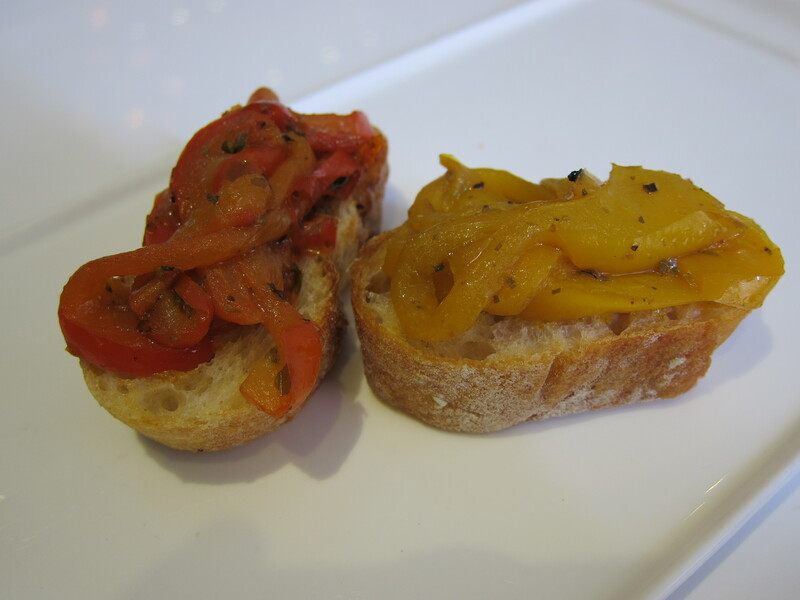 I was off to a good start with their CNY Amuse Bouche ‘Joy & Beauty’ which was a duo of Yellow and Red Bell Peppers on a crostini. 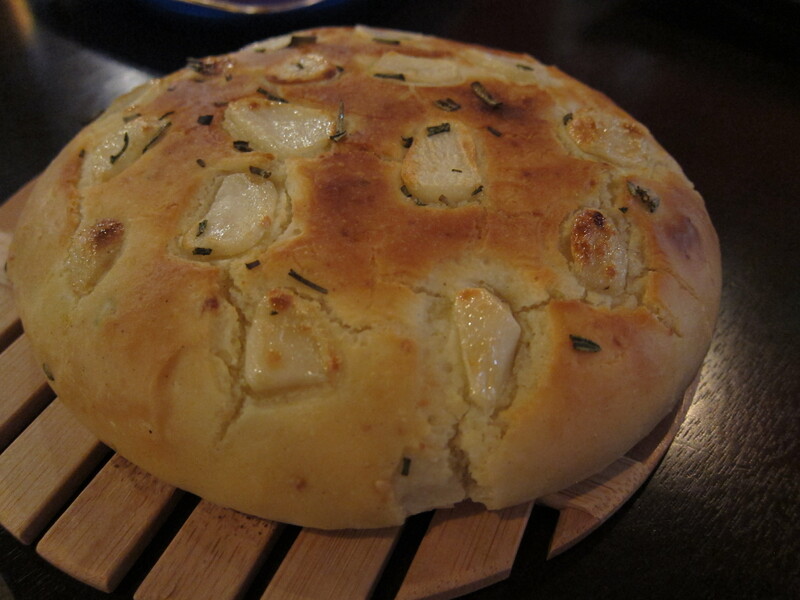 The bread was nice and fresh and the bell peppers sweet. 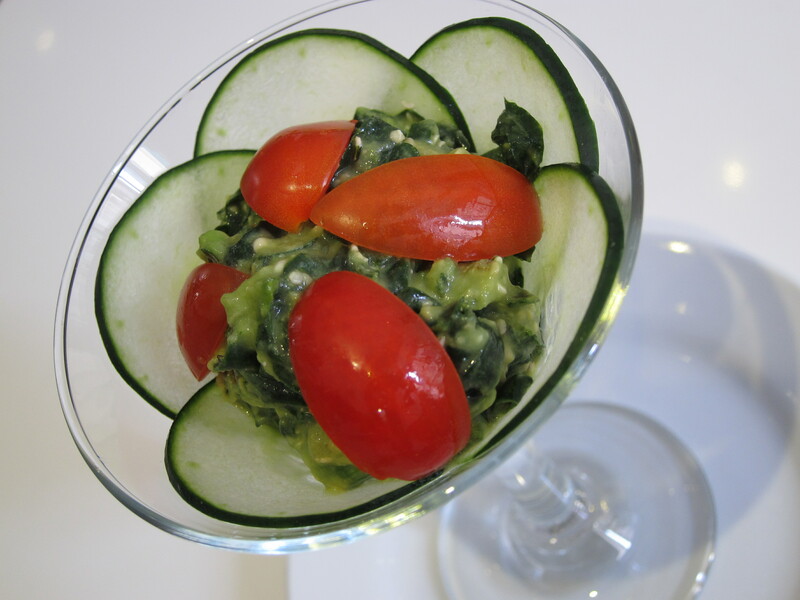 Following that, I had their Life & Peace Salad, made up of kale and avocado in a lime and hemp seed dressing. This was surprisingly yummy, despite its ‘greenness’ and the hemp seeds added texture and bulk. 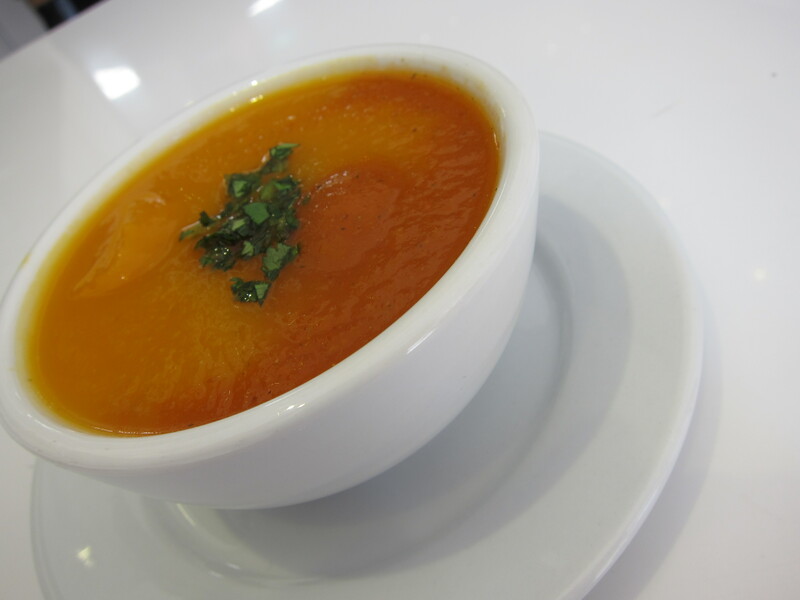 I then sampled their Cream of Pumpkin and Red Pepper soup which was rich, wholesome and quite filling. During this time I noticed a group of four well-dressed young men had come in on their lunch break, and I was actually pleasantly surprised that these guys had chosen Maya instead of Pizza Express, or TED’s Lookout or even Oolaa. Just goes to show that men are increasingly becoming health conscious. I wonder when my group of male friends will start to willingly go into a vegetarian restaurant instead of having to be dragged there like petulant children! 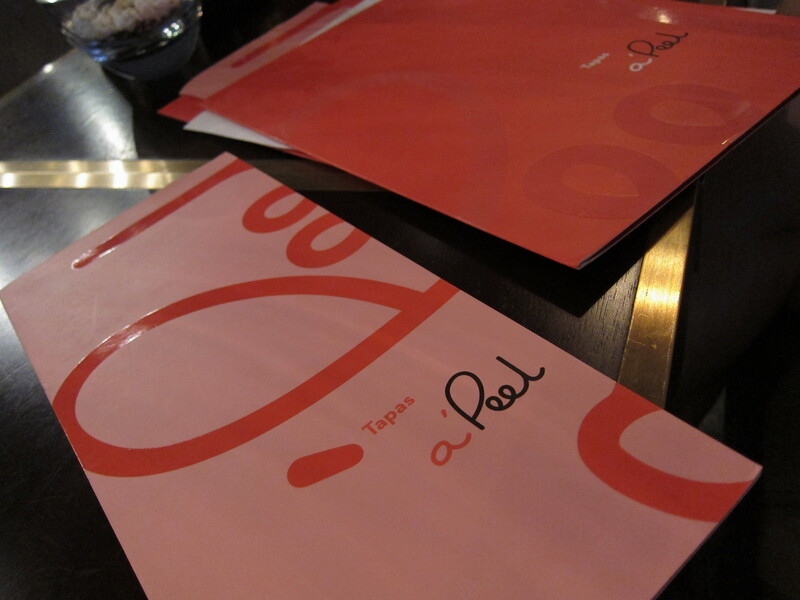 I thoroughly enjoyed the next two dishes which can be found on the a la carte. 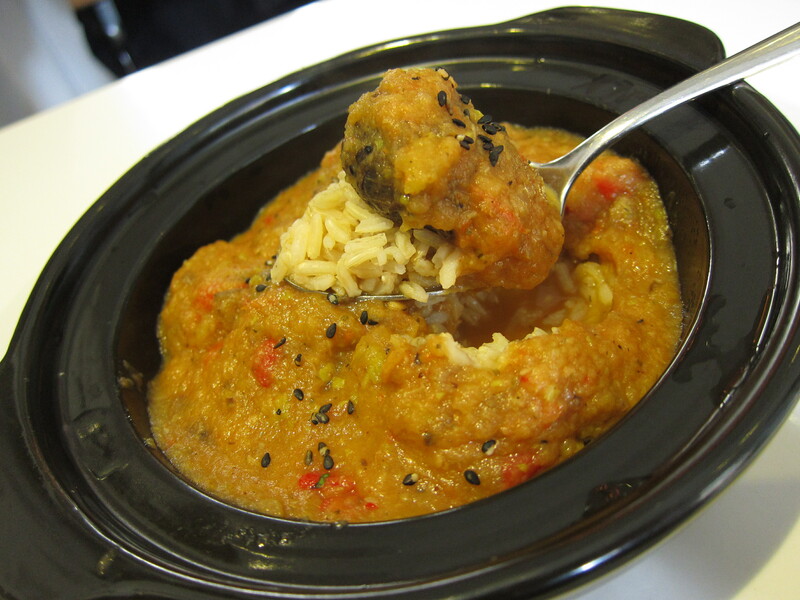 Meatless Balls in a Rich Tomato Sauce is one of their customer favourites and I could definitely understand why. Made of mushrooms, oatmeal and Parmesan, the texture and the feeling of satisfaction is akin to eating real meatballs and I really enjoyed them on the bed of red and brown rice. 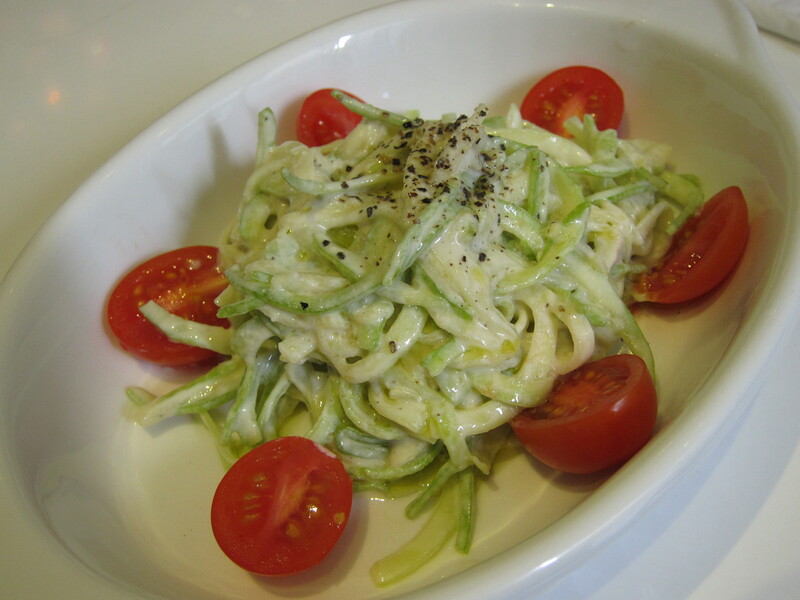 Up next was the Raw Vegan pasta which was fettuccine shaped courgette (Zucchini) with a creamy cashew-truffle sauce. I have to say I thought this was quite delicious and I allowed myself a moment of smugness that I had joined a well-being and goodness foodie club albeit temporarily. 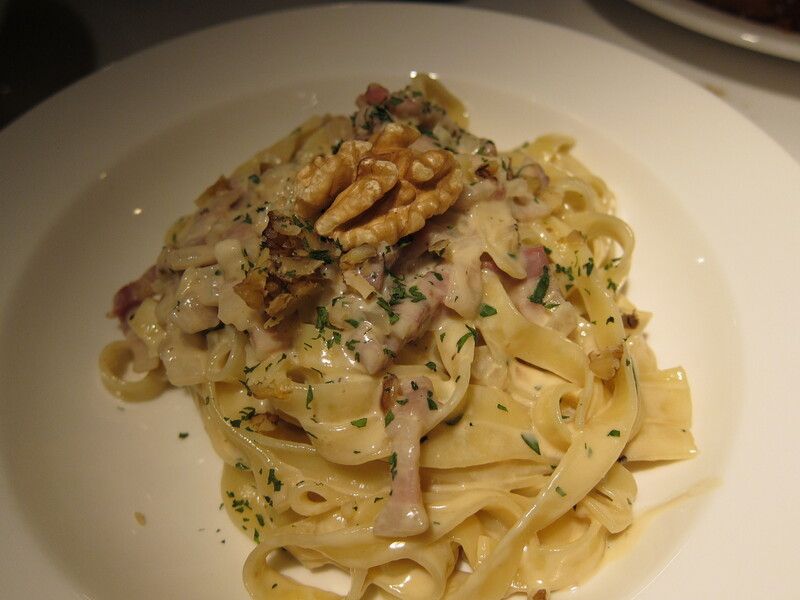 Obviously there is no substitute for the mouth-watering, decadent, full-fat, carb-loaded version of this pasta, but I could get used to eating courgette fettuccine as a guilt-free option. 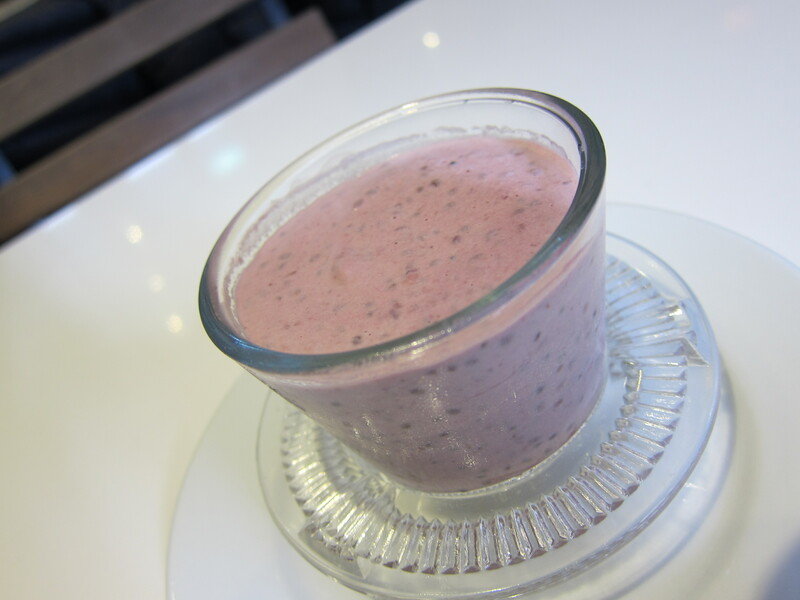 For dessert, I chose the the Chia Cream with Berries. This was interesting to me as I didn’t realise that soaking chia seeds would bloat to that extent and these were soaked in coconut cream then blended with berries and raw brown sugar. A delicious little treat. 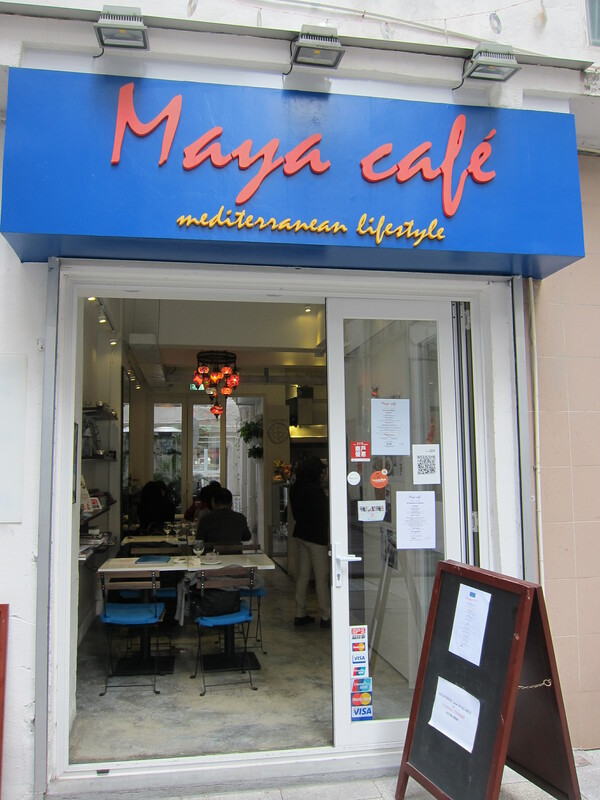 If, like me, you are someone who doesn’t normally frequent vegetarian outlets, Maya Cafe definitely presents a lovely option if you want to eat out but cut back on the rich and calorific foods of normal establishments. It certainly doesn’t feel like you are force feeding yourself vegetables and I thought all the dishes I tried were well thought out and satisfying. 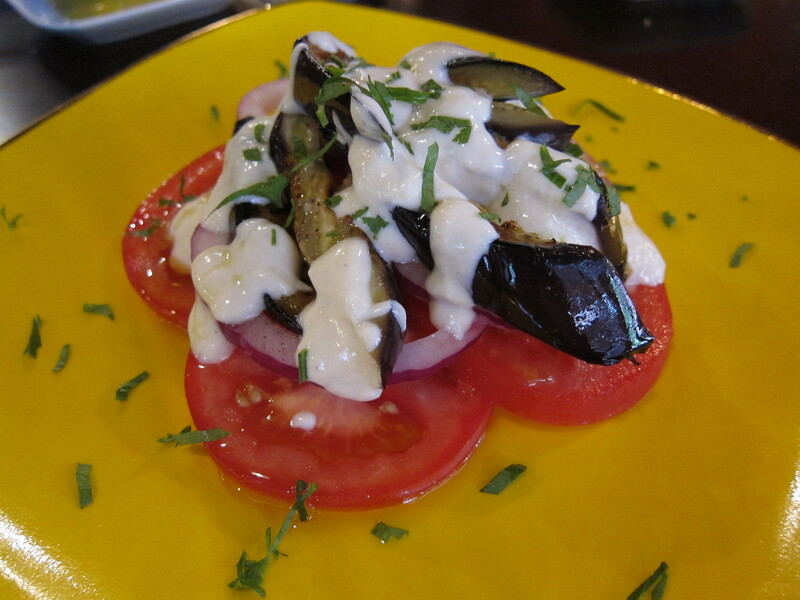 If you are a vegetarian or need gluten-free dishes, then Maya Cafe may well be your new haven. This was by kind invitation- many thanks to Tina for having me! 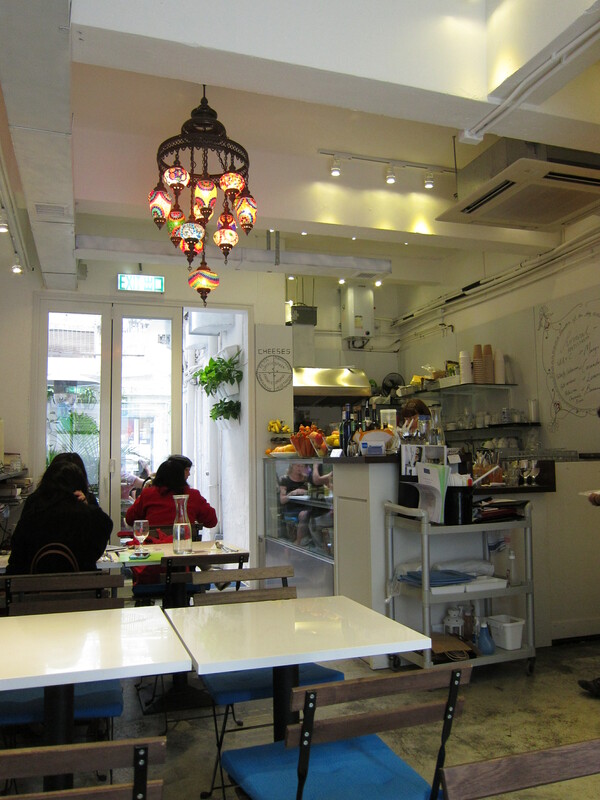 Categories: Mediterranean, Vegan/ Vegetarian | Tags: chia seeds, courgette, Gluten-free, hemp seeds, kale, Maya Cafe, Maya Cafe Hong Kong, meatless balls, Mediterranean cuisine, Moon Street Wan Chai, organic, Raw Vegan, Vegan, Vegetarian, Wan Chai, zucchini | Permalink. “Social dining” is a seemingly new term that has sprung up. This concept of eating to socialise and to connect with others should not be a novel philosophy in our society, given that social dining dates back to Ancient Greek times, but now, it has had a modern face-lift of sorts. Like anything in HK, once a concept has taken hold, it becomes the island’s obsession for a while and I can see that social dining will be two words bandied about for the next year by those who want to wax lyrical about dining values, connecting with food and the like. Frankly speaking, it is not much different from having dim sum with your family or sharing plates of tapas, but I suppose actually uttering the words “social dining” is meant to have some sort of profound effect on the way we approach eating with our nearest and dearest or even strangers. 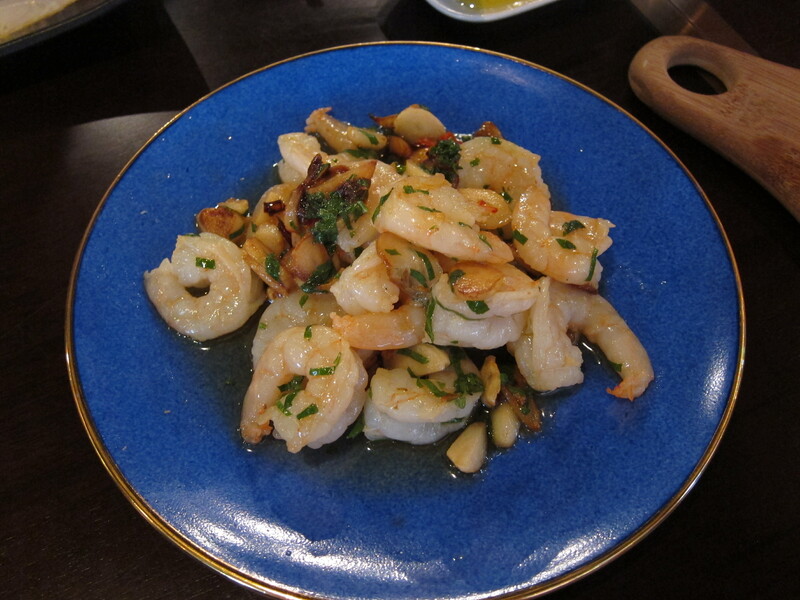 Anyway, before I get carried away with the philosophy of eating, (I am having one of those deep thinking days), I will cut to the chase and give my thoughts on new Mediterranean restaurant Enomod. 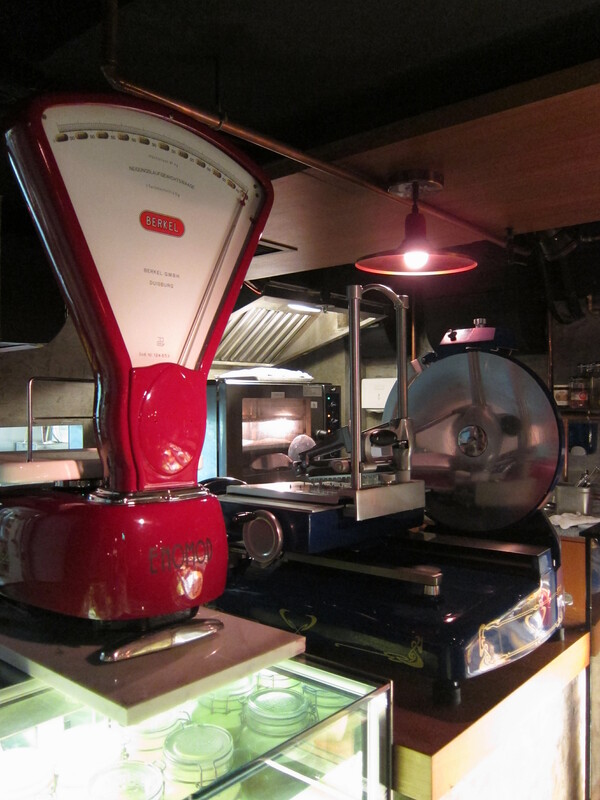 Enomod is the amalgamation of the words Enoteca Moderna, thus reflecting this idea of ‘connection’. Enoteca Moderna represents a form of social dining that emerged in 1930s America and this establishment seeks to blend all areas of wining and dining with several different zones. Taking over the sprawling space that Entourage once inhabited, a lounge area, communal dining tables, a bar, wine corner, charcuterie and cocktail lounge now take its place. 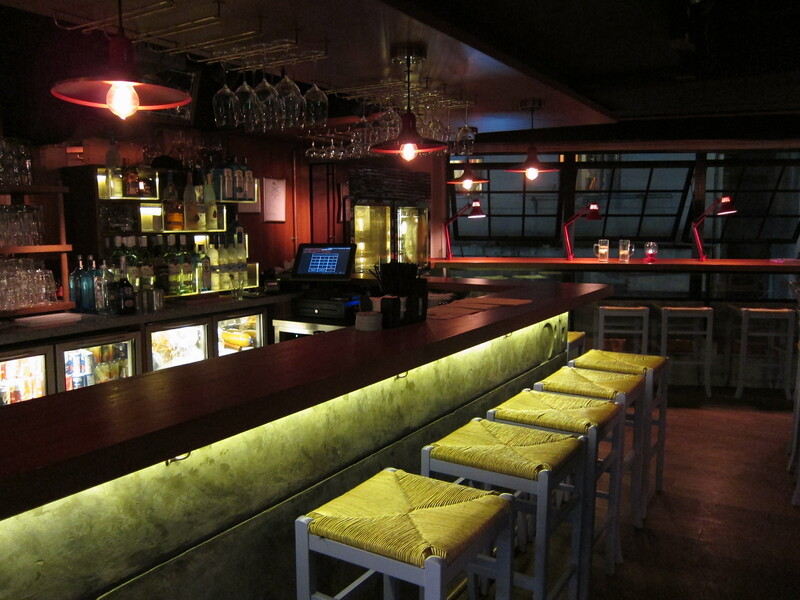 The areas are well put together, with plush, comfy chairs and hints of art deco in the lounge section, plain white chairs and dining tables in the social dining zone and darker, night-scene colours and lighting for the bar. 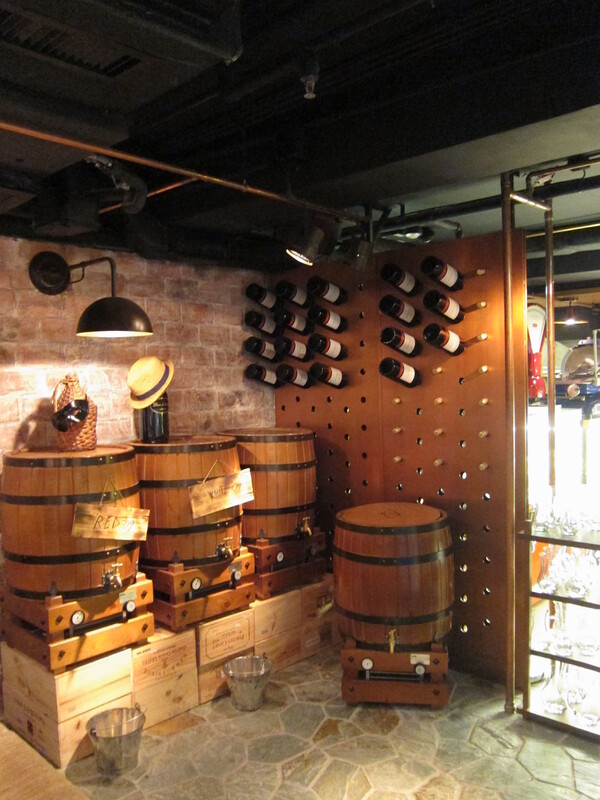 The wine barrels in the ‘wine area’ give Enomod a sweet, Italian provincial feel, yet the overall artistry of the place has very much a Great Depression vibe, especially with the copper fixtures adding that little bit of extra character. As it was a friend’s birthday, we decided that there was no better way of celebrating with pals than embracing the social dining concept of Enomod. So it was on a Saturday night that ten of us found ourselves occupying one of the communal tables and perusing the menu of Social Dining and Canteen Selection dishes. As a glutton who hangs with gluttons, it seemed sensible to order almost 80% of the menu and get two of each dish, just to make sure we had most of the bases covered. The Social Dining menu is split into Wood, Stone, Copper and Ceramics, denoting the material of the serving dishes onto which the food is served. We started with the Mezze Platter of crackers, eggplant and hummus dip from the Ceramic selection, which was served on a wooden paddle, (minor detail but get your materials correct!). 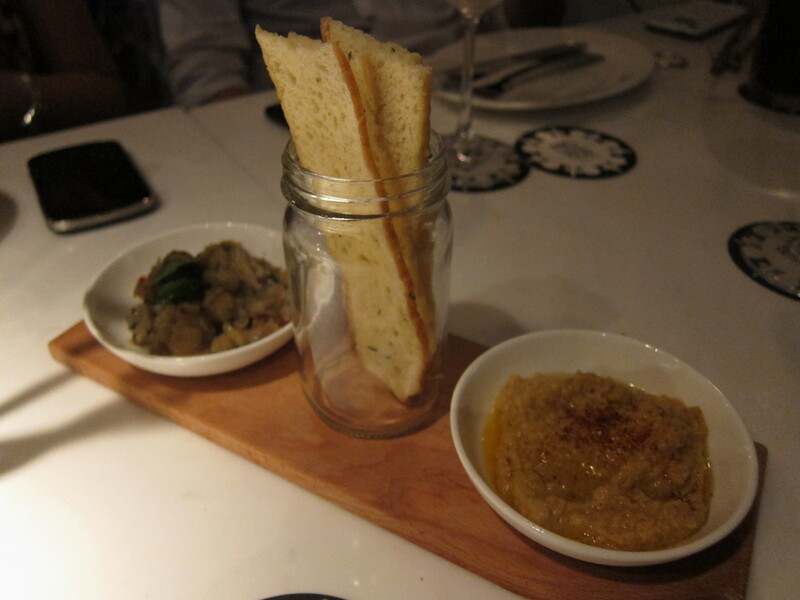 The eggplant dip was slightly piquant but subtle and the hummus light. Nothing unique, but was a pleasant appetiser. 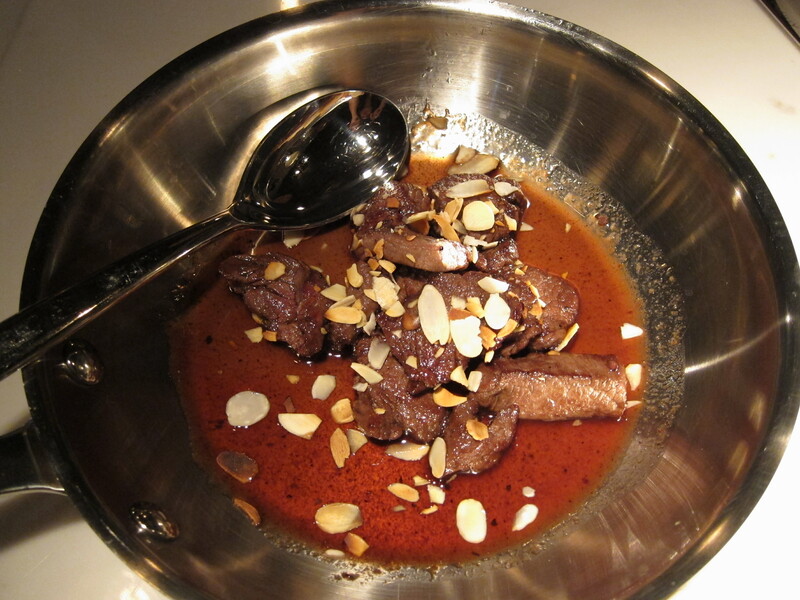 We ordered a daily special- the Balsamic beef stew which was tender and well marinated, though more sauce would have been great. The balsamic reduction was a nice balance of acid and sweet and our party were quite happy with our first shared plate. 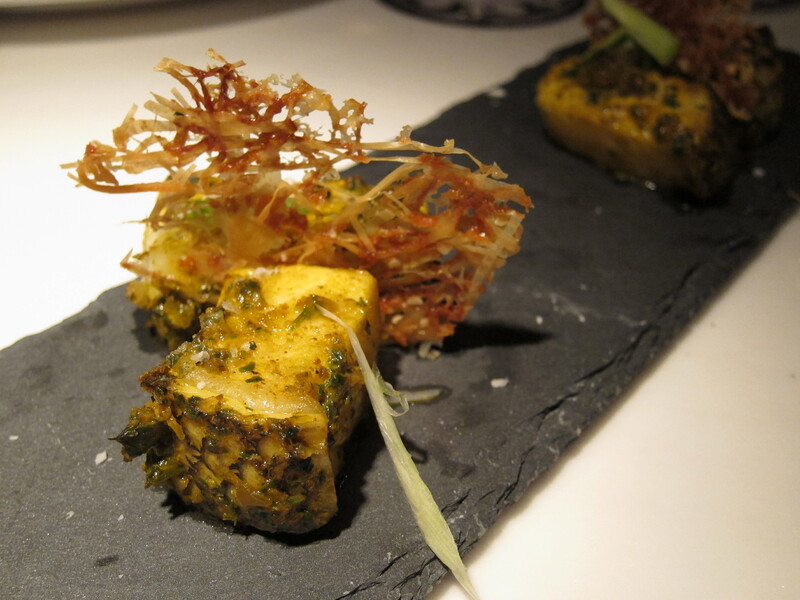 Next up, the Roasted Seabass from the Stone section made an appearance and this was excellent. The fish was succulent and I loved the light seasoning and coating of the herbs which allowed the seabass flavours to shine through. 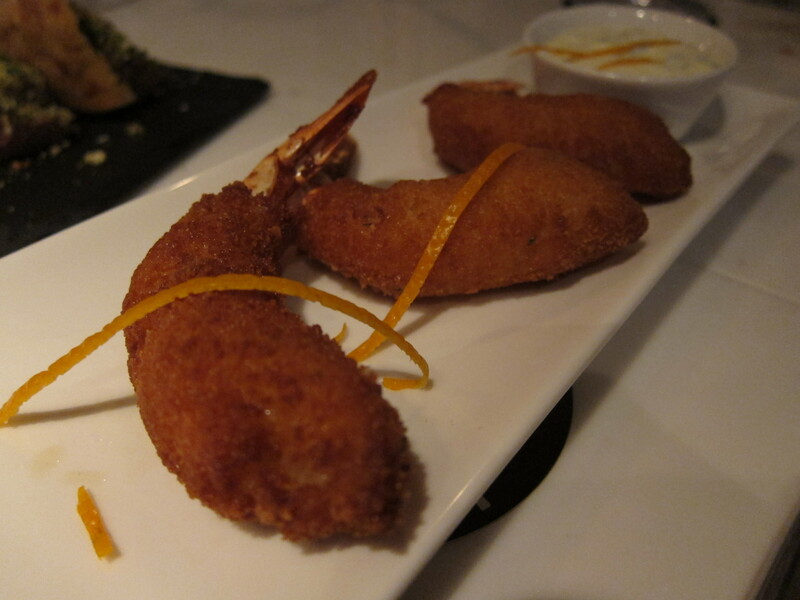 Our Citrus scented Crispy Prawns (Ceramics) were lacking the citrus edge I was looking for and the batter was slightly too thick. They were still appetising but somehow the accompanying mayonnaise was the bit I was more interested in as I ended up with more mayo per bite of prawn. The zucchini, fig and haloumi rolls with Sicilian caponata (a traditional aubergine stew) was absolutely delish, not least because I have not had haloumi in yonks, apart from one night out many moons ago when a couple of us visited Beyrouth Cafe and had haloumi kebabs. 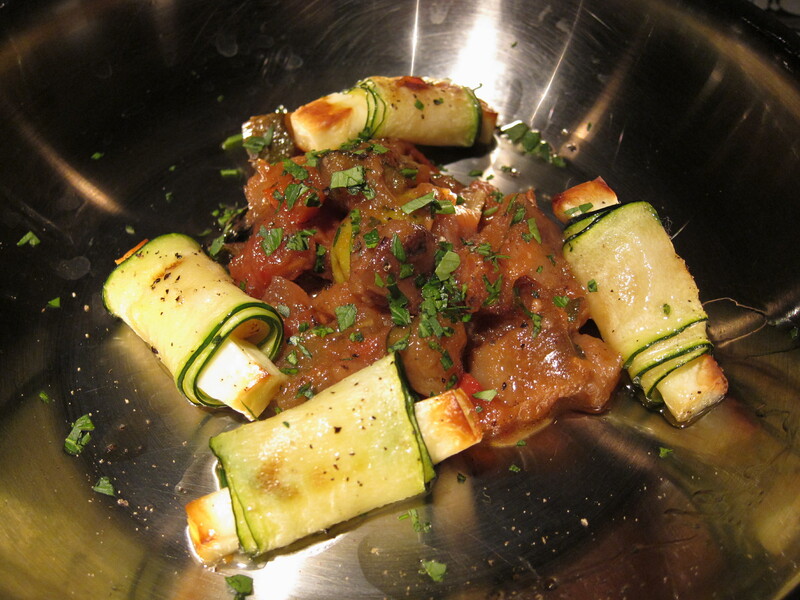 The saltiness of the cheese was a delectable complement to the sour-sweetness of the caponata. 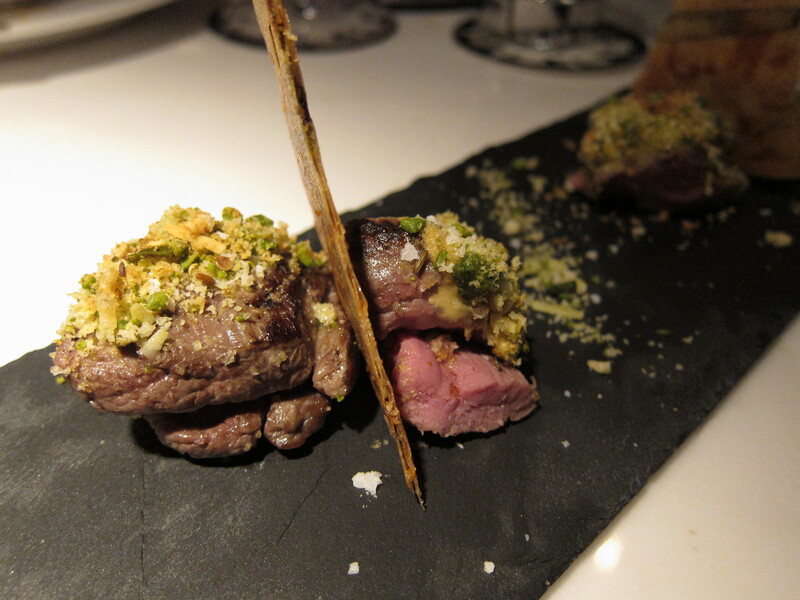 The highlight of the menu was the 6 hour lamb rump with pistachio crust. 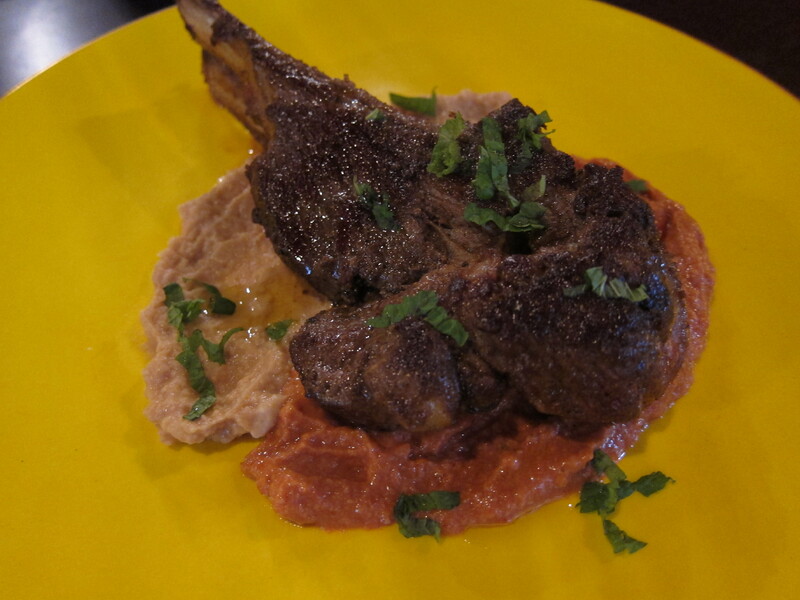 The lamb was moist and that perfect pink in colour and I loved the textural dimension that the pistachio crust gave. The cheesy wafers were a hit too, shame there were not more! 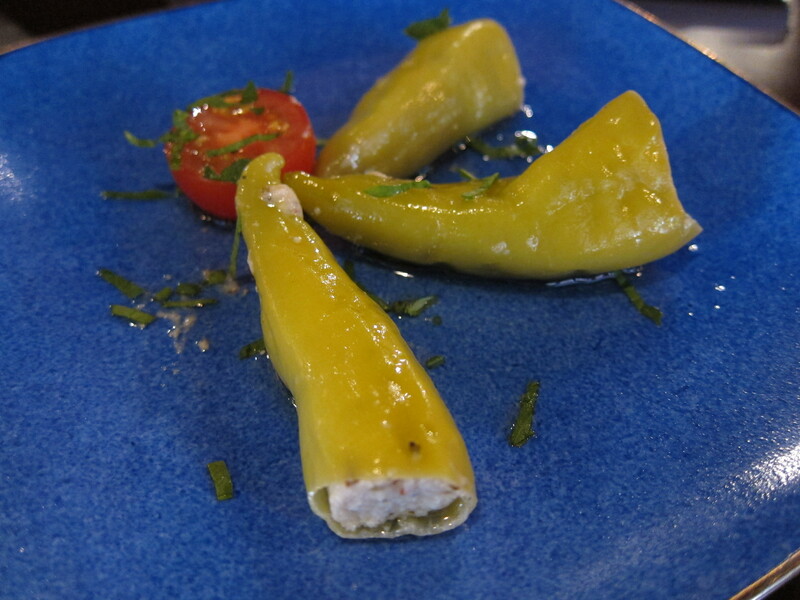 It was following this dish that a few of the next offerings became less impressive. 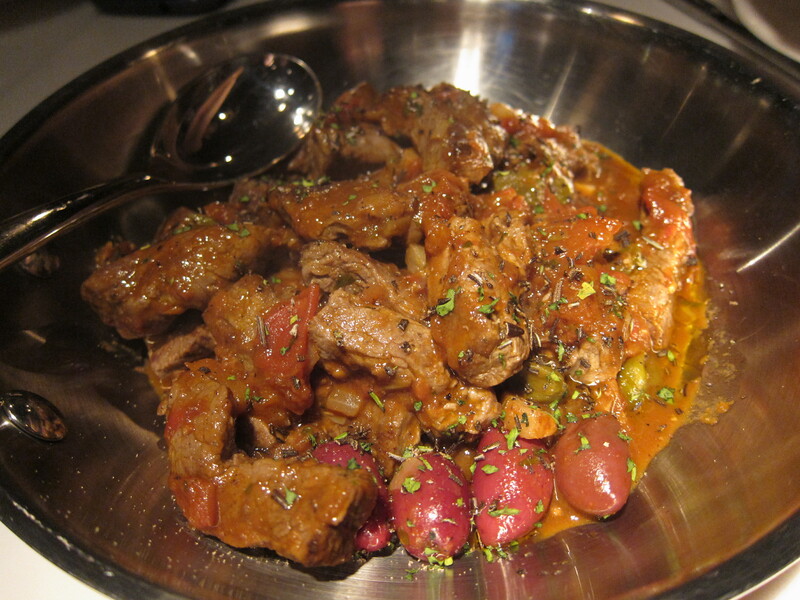 The Cinnamon beef tenderloin tips were tasty enough but nowhere near as tender as the balsamic beef stew. 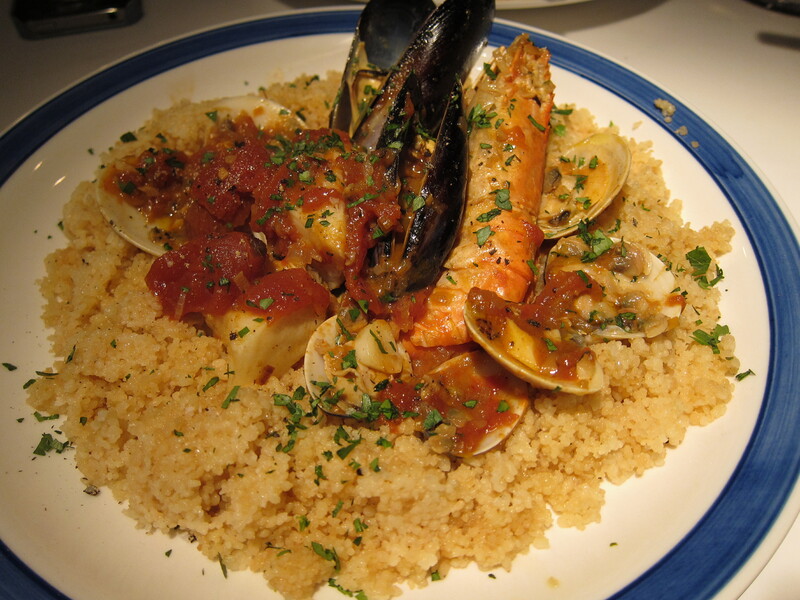 The Couscous Bouillabaisse was flavourful, the squid, fish and clams were fresh but I would have enjoyed a tad more bouillabaisse broth over the couscous. 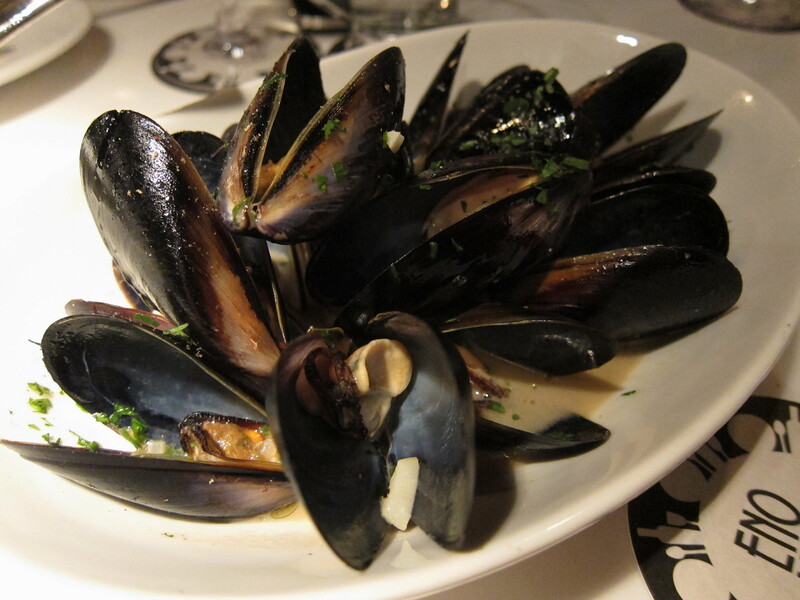 The worst dish of the night were the Blue Mussels with white wine sauce which, much to our chagrin, were not fresh. I have not had much luck with mussels of late, and it was really disappointing to find that our bowl of molluscs had gone bad. I managed two, a few friends had a couple each, and we unanimously agreed that we needed to give up on the mussels. The white wine sauce was however, quite flavoursome. We tried two of their pastas- the Penne with Chorizo and Cherry and orange zest, which was nicely al dente and fairly spicy (some may find it a little too fiery to appreciate the lovely citrus tang) and the Tagliatelle with Walnut Carbonara Sauce which was delicious but, as with all carbonaras, became too rich to fully appreciate, especially after all the above dishes. 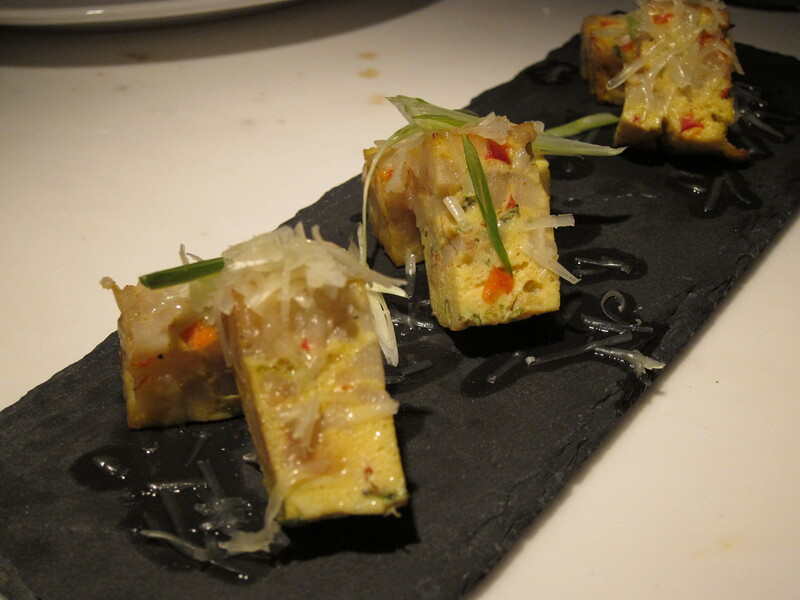 Spanish Tortilla is my litmus test for any restaurant that offers it, as it is simple but seems strangely difficult to master as I have not had any tortillas that have really satisfied me in HK except for the ones at Fofo by el Willy and Tapeo. I am a little hard to please in this area as my various travels in Spain have given me a high benchmark to compare to but still, a girl can hope! Sadly, while Enomod’s fancy-looking Spanish tortilla was presented lovingly (I would prefer it if they just served Spanish tortilla in one dish rather than cutting it up! ), the taste just was not there. 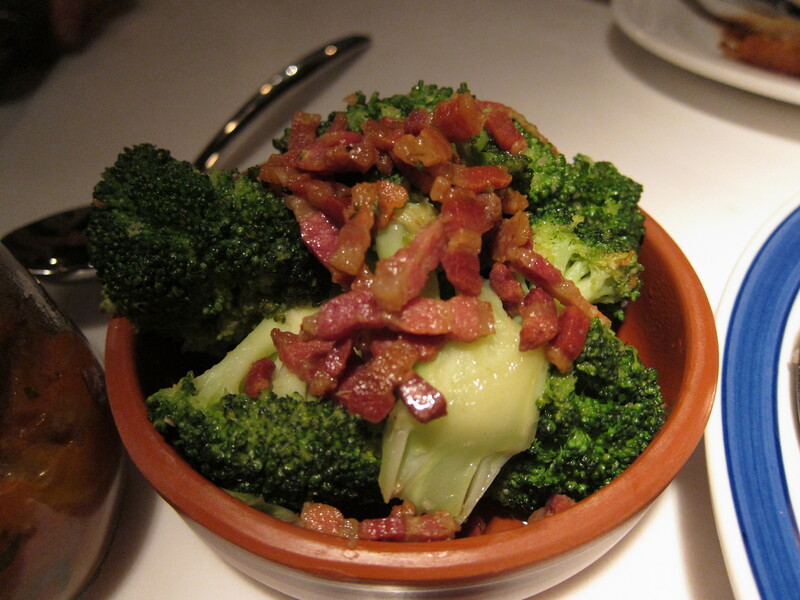 Unsurprisingly, their sauteed broccoli and pancetta side-dish was a complete hit with our table. 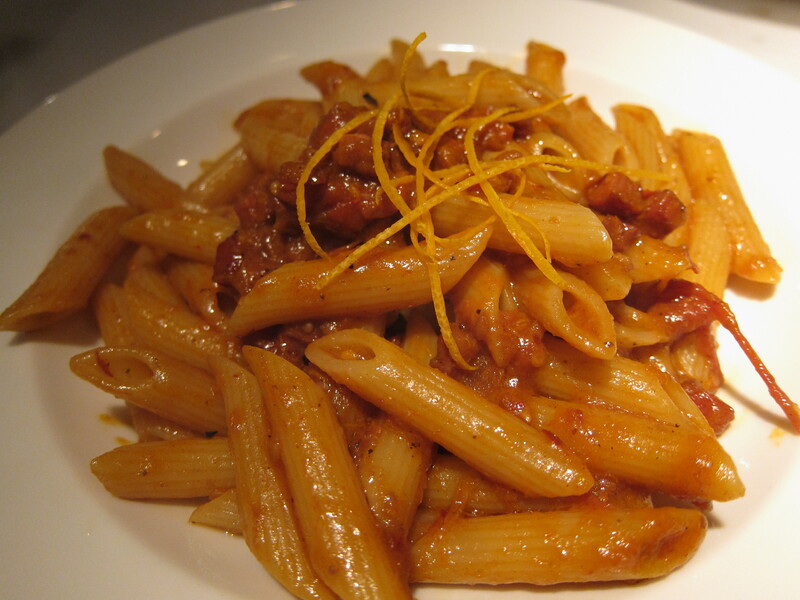 Anything with bacon gets the thumbs-up from us! 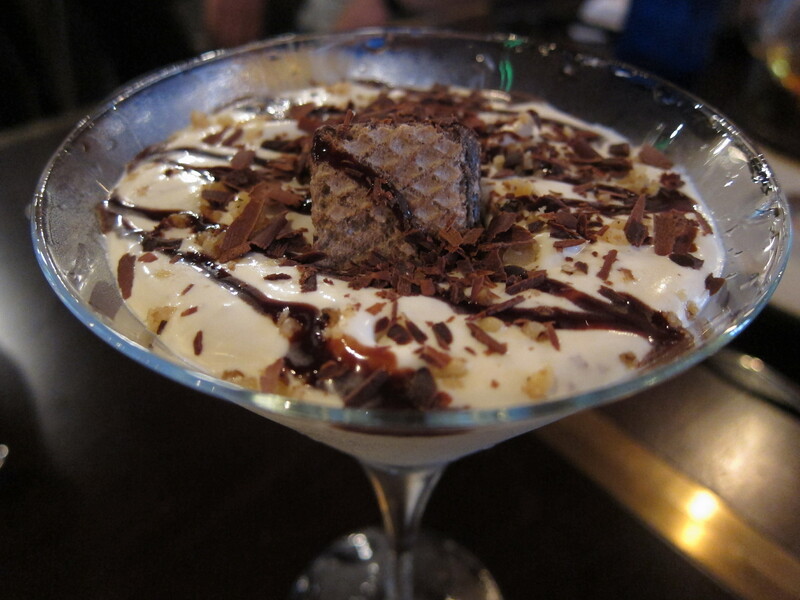 Desserts were where Enomod became more interesting. We tried all of them- the Absinth Spicy Tiramisu, Ricotta Cheesecake with crushed pistachio and candied orange peel and the Pumpkin Crumble Godmother-Style with Amaretto Bisquiti. 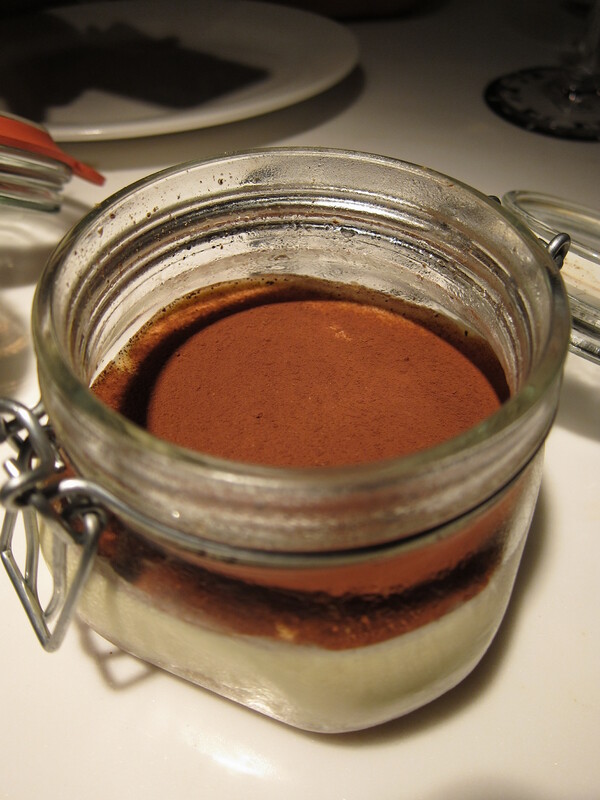 The Absinth infused tiramisu definitely piqued my curiosity and we were all expecting it to pack a wallop but I was pleasantly surprised by the subtlety of the absinthe. The Ricotta cheesecake was my favourite. The cheesecake was light and nutty and the biscuit base and orange zest made it moreish. 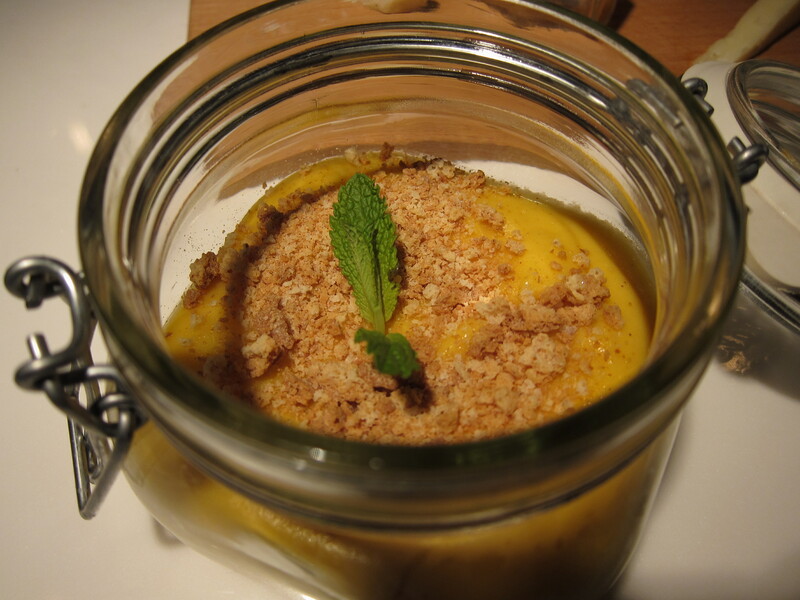 The pumpkin crumble can only be described as a scrumptious, adult version of baby food. 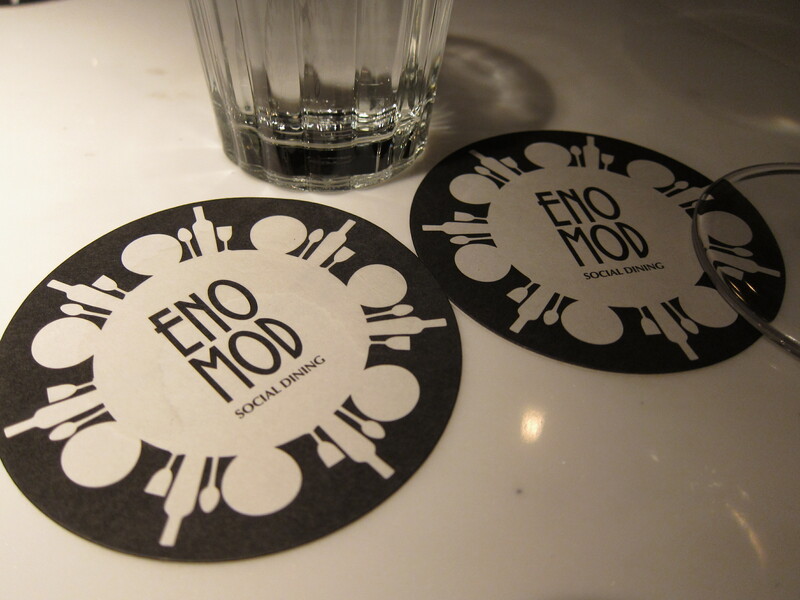 Dining at Enomod was an enjoyable experience and the birthday girl had fun. While the food was decent, I could not say that anything in particular wowed me for the price (it came to $480 per person including wine) and the mussels tainted the meal somewhat. We would have said something but we too far along the meal to make a fuss. However, as far as socialising is concerned, Enomod does its job but I think it could benefit from a warmer ambience in the dining area. 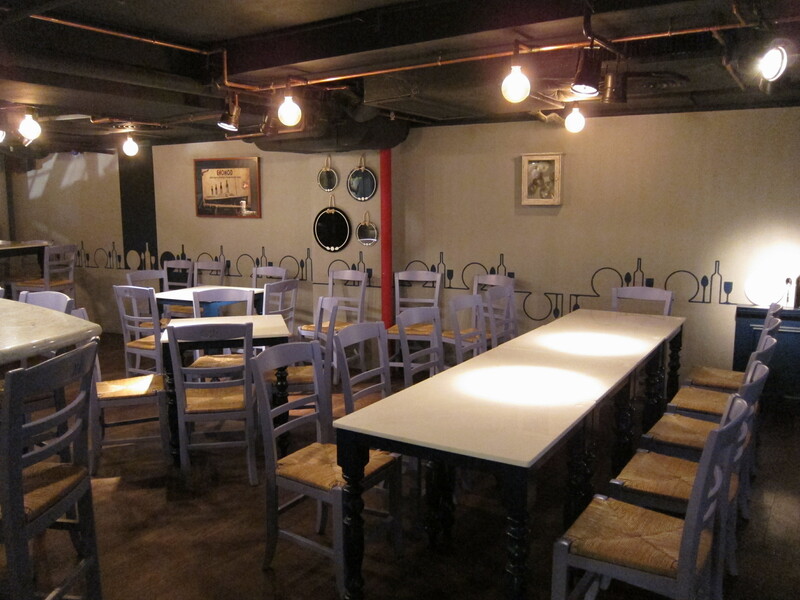 The stark chairs and tables did nothing to generate a cosy atmosphere, but the absinthe tiramisu certainly left a warm feeling in my stomach. 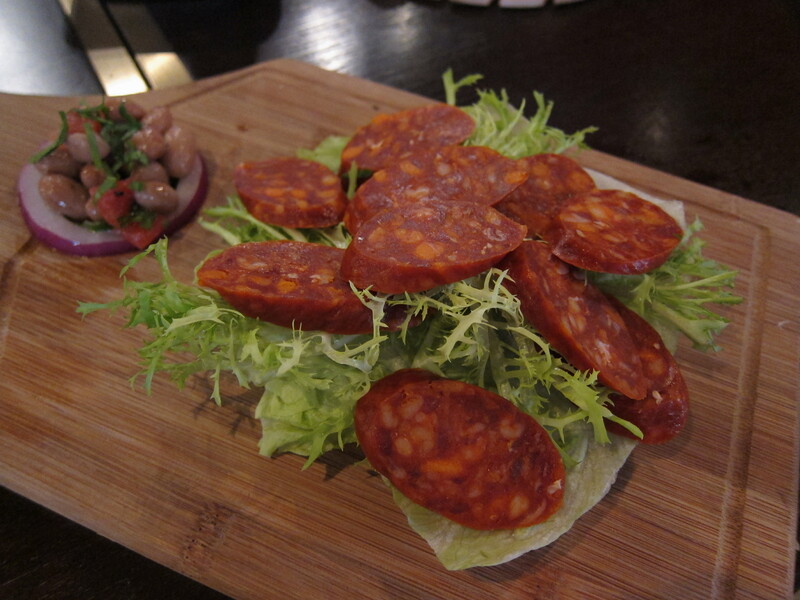 Categories: Bar, Italian, Mediterranean, Spanish | Tags: absinthe, bar, beef, carbonara, Central Hong Kong, charcuterie, cheesecake, cocktail lounge, couscous, Elgin Street, Enomod, Enomod Hong Kong, Enoteca Moderna, Hong Kong, lamb, Mediterranean cuisine, mussels, pasta, social dining, tagliatelle, tiramisu, tortilla | Permalink.